A few weeks ago, I reviewed CanvasPop. CanvasPop lets you create beautiful canvas prints from your photos. Plus, you have various options to customize them as well, including touch up & several photo filters. I got a beautiful 16×24 canvas of my daughter. The image itself was taken with my cell phone and it looks like I took it with my regular camera. You can read my full review here. CanvasPop wants to give one lucky reader a 16×20 canvas with a 0.75″ deep wrap of their own (awarded as a gift code that expires March 31, 2017). To enter, leave a blog post comment telling me what photo you would have printed to canvas. Once you do that you can complete the extra entries on the Rafflecopter form. The giveaway is open to US, Canada, and the European Union residents, and ends May 15th @ midnight CST. Disclaimer: This giveaway is in no way related/sponsored/endorsed by Facebook, or Twitter. Winners will be chosen at random and have 48 hours to respond or a new one will be picked. 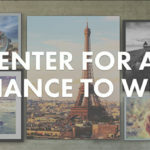 Each household is only eligible to win one 16×20 canvas via blog reviews and giveaways. Only one entrant per mailing address per giveaway. If you have won the same prize on another blog, you will not be eligible to win it again. Winner is subject to eligibility verification. Prize cannot be shipped to P.O. boxes. Failure to complete the mandatory entry in full will result in disqualification. 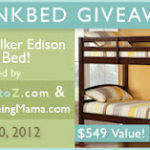 The gift code will be emailed directly to the winner by Misadvmom.com. I would have a family photo printed on canvas. I’d use one of our wedding photos! I would have a picture of my 4 kids put on a canvas. I would love to have a picture of my family at my brother’s wedding on a canvas! I would have a picture of us at Walt Disney world printed on canvas. I would have the family photo we took last year at the family reunion printed, it’s the only picture I have of us as an entire family and that’s super special to me! I would have one of our wedding photos done. We got married 6 years ago and I have always wanted a canvas. I have a perfect one of myself and the two grandkids at the beach, I would love this one to be hung! I would make a collage of photos of my grandmother, from her youngest years til her senior years, as a gift for my mom. I’d get one of my flower photos printed to canvas! Thanks for the chance. I have a favorite photo of my grandson playing in the leaves from last fall…I would love to have that put on canvas to hang in our entry way. I would have a picture of the city of London printed. It’s my lifelong dream to go there someday. Would love to have a photo of our family for our living room! 🙂 Thank you for the giveaway! Just found a lovely old photo of my parents–would be perfect!